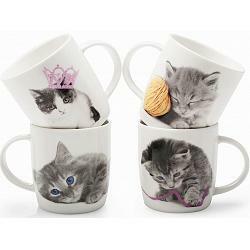 This mug set from BIA Cordon Bleu comes with 4 mugs that feature pictures of adorable kitties. Each mug has a different picture and has a capacity of 13oz / 385ml. 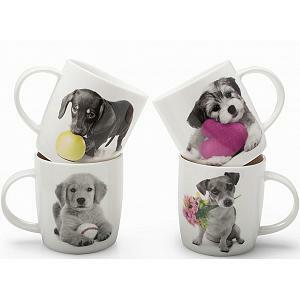 The mugs are made from new bone china, are microwave and dishwasher safe, and come in a gift box.